The Lego Movie constantly refrains the song “Everything is Awesome!” throughout the film, and though the song is presented as a joke because things aren’t awesome, it best describes The Lego Movie. Because everything is awesome. Phil Lord and Christopher Miller took a toy commercial and traditional hero’s journey narrative and turned it into a celebration of tossing out instructions and a collectivist uniting against conformity and conservatism. Also it’s fun and hilarious. The resistance becomes a celebration of individuality vs marching to the same drum beat. The Lego Movie encourages you to build what you want, and not worry about if your projects conflict with what someone expects you to do. While President Business seeks his stagnant perfection, the real progress and fun comes from the chaos of creation. Emmet Brickowoski (Chris Pratt) – Emmet is the most average man who ever averaged, and even when he follows all the rules (and there are a lot of rules), no one seems to remember him much at all. But things change when suddenly the Piece of Resistance is stuck to his back, and it looks like he has a prophesy to fulfill. If he can just be interesting! Wyldstyle (Elizabeth Banks) – A Master Builder who searches for the Piece of Resistance and finds it on Emmet. She mistakenly thinks he’s much more powerful than he actually is. But despite her disappointment, she becomes part of the inspiration for Emmet to rise up beyond his lot in life. Is dating Batman. Vitruvius (Morgan Freeman) – Wise sage who prophesies the downfall of Lord Business and the Piece of Resistance. He’s blinded, and later begins training Emmet, though there is little time for actual training. Has trouble telling Gandalf and Dumbledore apart. Batman (Will Arnett) – The best movie Batman since Adam West. The caped crusader joins the mission to save the universe because he’s Batman and that’s what Batman does. He’s dark. Also he’s dating Wyldstyle, in between making his music. FYI, people in the audience cheered when Batman showed up. Lord/President Business (Will Ferrell) – Lord Business is President of the Lego city and controls all aspects of it, in a creepy Big Brother way. He’s also a super villain, who has stolen an artifact that he plans to use to end the world (which involves freezing it in place.) That is, unless he’s stopped by The Piece of Resistance! Minor spoilers below the fold! Lego Batman hits May 21st! Stack up your batarangs and be sure to get enough of those bricks that have slight slants so we can make a cool Lego Batmobile and not something that is all blocky. Because Lego Batman: The Movie is here! 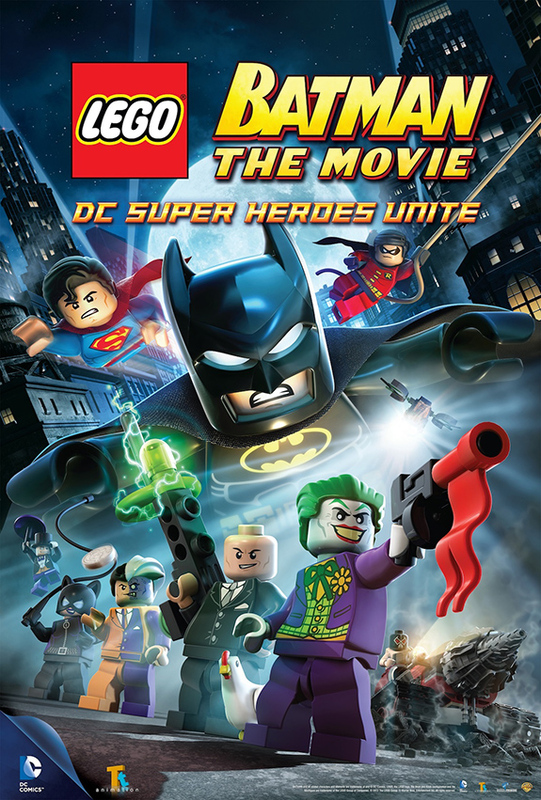 Despite being Lego Batman, Lego Superman is running around as well as other super heroes as they battle the Joker and Lex Luthor teaming up to be evil and very evil. And there is a Lego chicken, so that’s especially evil. So much evil, it’s like Mego Bloks are trying to take over! I see your game now, Joker. Some people just want to watch the world go to pieces and then someone steps on a piece at 2:30 AM while going to the bathroom and that really hurts! Is that what you want, Joker? Because the jokes on you! I have a nightlight! MuHAHAHAHAHAHAHAHAHA!!! Lego Batman: The Movie will be available on DVD, Blu-ray, and VOD on May 21st from Warner Brothers Home Video. LEGO Batman: The Movie – DC Superheroes Unite provides the ultimate blend of action and humor guaranteed to entertain fanboys of all ages. The film finds Lex Luthor taking jealousy to new heights when fellow billionaire Bruce Wayne wins the Man of the Year Award. To top Wayne’s accomplishment, Lex begins a campaign for President – and to create the atmosphere for his type of fear-based politics, he recruits the Joker to perfect a Black LEGO Destructor Ray. While wreaking havoc on Gotham, Lex successfully destroys Batman’s technology – forcing the Caped Crusader to reluctantly turn to Superman for help. 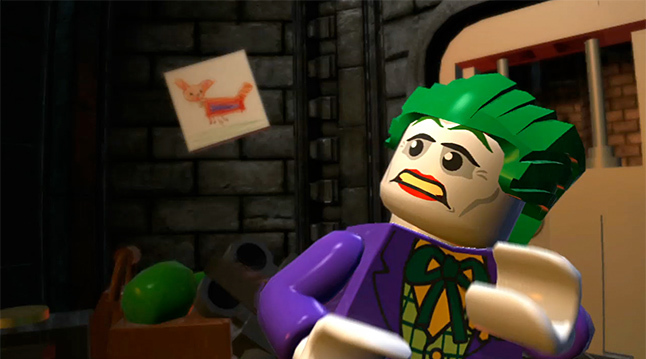 LEGO Batman: The Movie – DC Superheroes Unite features the definitive voice of Lex Luthor, Clancy Brown (The Shawshank Redemption, SpongeBob SquarePants). In addition to Baker and Willingham, the cast includes Christopher Smith (Mortal Combat vs. DC Universe) as the Joker, and Charlie Schlatter (Diagnosis Murder) in a hilarious turn as the voice of Robin. The Lego films are going to be damn awesome!! The Lego film seems like it will be amaza-tastic! Also damn awesome, since that’s what I wrote in the headline. Co-directed by Phil Lord and Chris Miller (21 Jump Street and Cloudy With a Chance of Meatballs) and featuring voices of many a talented actor: Chris Pratt, Elizabeth Banks, Morgan Freeman, Will Arnett, Will Ferrell, Liam Neeson, Nick Offerman, and Alison Brie. There will be largely animated with a few live-action components. Lego: The Piece of Resistance will also feature Superman and Batman in the same film, showing that a cartoon can do in theaters what Warner Brothers is too stupid to pull off themselves for decades! Other rumored licensed Lego properties for cameos include Yoda and Indiana Jones. The film is tracking so well they’ve bumped up the release date, from February 28, 2014, to February 7, 2014. That’s still way too long for impatient me. Regular Lego figure Emmet (Chris Pratt) is mistakenly identified as the key to saving the Lego world and he’s forced to go on a quest to stop an evil tyrant. President Business (Will Ferrell) is the evil CEO who is too evil to manage his personal life correctly, and Bad Cop (Liam Neeson) is his henchman. If you can’t get enough of Lego Superman and Lego Batman, then you are in luck, as there is also going to be a Lego Batman DTV flick with Superman guest starring! The trailer released is pretty much just cut scenes from the video game, but the story so far is there will be new animation in addition to these cut scenes to make a full film. So we will see. 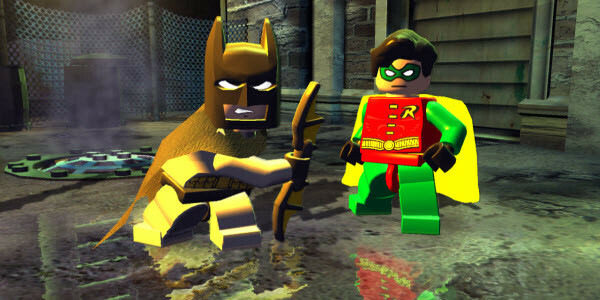 Even the cast list for LEGO Batman: The Movie is the same for the rumored voices in the Lego: The Piece of Resistance – Will Arnett as Batman and Channing Tatum as Superman. This is like synergy or something. I hope they make Lego films for those awesome monster hunters sets I see at the stores.